Download a ringtone: Ring Ting a ling!! March 24, 2019 | MP3 - 128K | CS55 - Who was The Bully? February 27, 2019 | MP3 - 128K | CS52 - Give the Drummer some! February 10, 2019 | MP3 - 128K | CS49 - How ya gonna keep 'en down on the farm? February 1, 2019 | MP3 - 128K | CS48 - Prohibition is HERE! January 20, 2019 | MP3 - 128K | CS47 - The President will speak to YOU! January 6, 2019 | MP3 - 128K | CS45 - The All Star Trio does! November 25, 2018 | MP3 - 128K | CS40 - Ja - Da! September 16, 2018 | MP3 - 128K | CS32 - George Gaskin; One for the old timers! September 9, 2018 | MP3 - 128K | CS31 - Goodbye Uncle Josh! September 2, 2018 | MP3 - 128K | CS30 - NOT just another Smith. August 5, 2018 | MP3 - 128K | CS27 - Bert Williams was SOMEBODY! July 22, 2018 | MP3 - 128K | CS25 - After You've Gone will never go! July 15, 2018 | MP3 - 128K | CS24 - The Love song will never die! June 3, 2018 | MP3 - 128K | CS18 - Caruso, who made who? May 6, 2018 | MP3 - 128K | CS14 - Edison was NOT jazzy! April 22, 2018 | MP3 - 128K | CS12 - You remember Al! April 15, 2018 | MP3 - 128K | CS11 - What's happening at Rectors? April 1, 2018 | MP3 - 128K | CS9 - The first double sided hit? March 19, 2018 | MP3 - 128K | CS7 - Jazz Crazy! March 5, 2018 | MP3 - 128K | CS5 - Why does it sound like that? February 11, 2018 | MP3 - 128K | CS2 - The first JASS record! August 1, 2017 | MP3 - 128K | Phonograph DJ MAC reporting for duty! July 25, 2017 The Old Codger filled in. July 18, 2017 The Old Codger filled in. July 4, 2017 | MP3 - 128K | MAC 4th of July! June 20, 2017 | MP3 - 128K | MAC is BACK! June 14, 2016 The Old Codger filled in. April 5, 2016 The Old Codger filled in. March 22, 2016 | Oops! I forgot my records! January 26, 2016 Joe McGasko filled in. December 29, 2015 | Happy New Year! December 22, 2015 | Christmas Show! October 27, 2015 | 20 Year Anniversary Show! October 13, 2015 Joe McGasko filled in. September 15, 2015 The Old Codger filled in. August 4, 2015 Mike the Barber filled in. July 14, 2015 The Old Codger filled in. March 31, 2015 | Where are you, Spring? March 24, 2015 | Back from Marathon Week! December 16, 2014 | Happy Chanukah! March 18, 2014 The Old Codger filled in. March 11, 2014 | The Antique Victrola Music Program! December 31, 2013 The Old Codger filled in. November 12, 2013 The Old Codger filled in. October 29, 2013 | All British records TOO! September 10, 2013 | All British records! August 20, 2013 | REMOTE show recorded with UK collector Greg Butler. August 13, 2013 The Old Codger filled in. July 9, 2013 Joe McGasko filled in. May 7, 2013 | Guest Nick Pavone talking about "Phonograph Conversations"
April 16, 2013 The Old Codger filled in. February 5, 2013 | An imcomplete, abridged, personal take on the Jazz and The Halem Renaissance. December 25, 2012 The Old Codger filled in. October 23, 2012 The Old Codger filled in. August 28, 2012 Side Show with Cruciferous Green filled in. August 21, 2012 Side Show with Cruciferous Green filled in. August 14, 2012 Side Show with Cruciferous Green filled in. August 7, 2012 Side Show with Cruciferous Green filled in. July 3, 2012 The Old Codger filled in. May 29, 2012 | LIVE from Bryant Park! May 8, 2012 The Old Codger filled in. April 24, 2012 | More recent find records. April 17, 2012 | New old records I got this past weekend. February 14, 2012 Joe McGasko filled in. January 24, 2012 | with guest Will Friedwald celebrating Chinese New Year! August 30, 2011 The Old Codger filled in. July 19, 2011 The Old Codger filled in. July 12, 2011 | birthday tribute to Nat M Wills with Trav S.D. June 14, 2011 Bethany filled in. January 18, 2011 The Old Codger filled in. December 14, 2010 | LIVE music from The East River String Band! December 7, 2010 The Old Codger filled in. October 5, 2010 | with guests Melissa Dubbin & Aaron S. Davidson: Eugenia Farrar; The first woman of radio. July 27, 2010 The Old Codger filled in. June 15, 2010 The Old Codger filled in. March 30, 2010 | Repeat of 1997 show with Fred Hauk, who passed away in the summer of 1998. January 12, 2010 The Old Codger filled in. August 18, 2009 | Exploration of Vaudeville's connection to Psychedelia with Trav S.D. August 4, 2009 The Old Codger filled in. 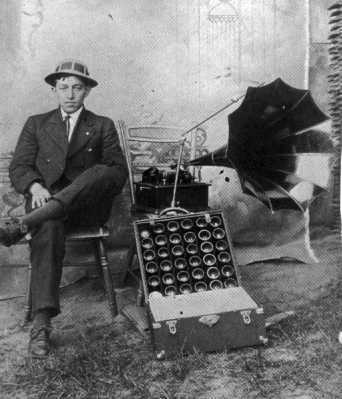 July 7, 2009 | Rob Millis and Jeffery Taylor aka Climax Golden Twins discuss their musical output and Dust to Digital releases Victrola Favorites and current release, "Take Me to the Water: Immersion Baptism in Vintage Music and Photography 1890-1950." April 7, 2009 | The Maestrosities - Watch the videos! August 12, 2008 Jerry Fabris fill-in with Thomas Edison's Attic. July 8, 2008 Jerry Fabris special fill-in with Thomas Edison's Attic. May 13, 2008 | Thaddius Cobbleston fills-in. November 6, 2007 | with Diixeland Jass band, "The Red Hook Ramblers"
October 23, 2007 | virtual guest Norman Bruderhoffer from Germany. January 2, 2007 The Old Codger filled in. August 29, 2006 The Old Codger filled in. 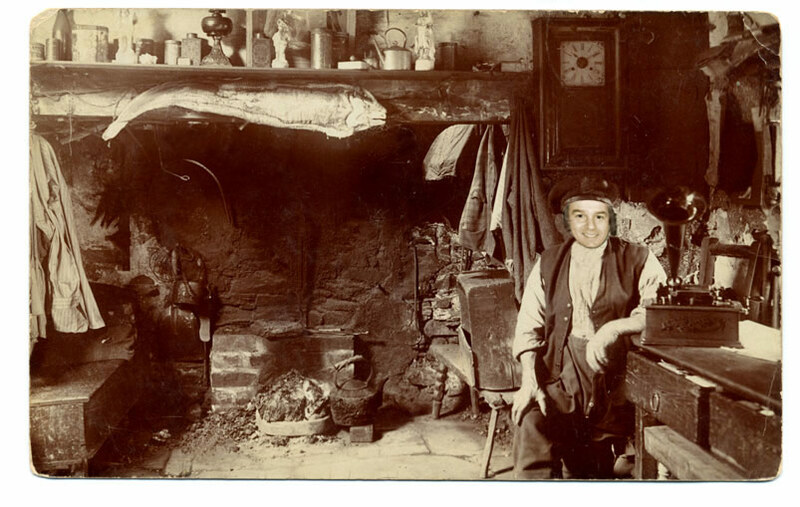 March 28, 2006 The Old Codger filled in with his usual motley mix of 78 rpm balderdash. February 28, 2006 | Week one of the 2006 Marathon with hosts Mac and Jerry Fabris. January 4, 2006 | Live music by "The Wiyos"
December 6, 2005 The Old Codger filled in. September 3, 2002 | Repeat of program w/ guest George Sweeny from 199? June 11, 2002 No Archive for today's show due to computer problems. April 2, 2002 | with guest Michael Devecka celebrating the 100 year anniversary of Enrico Caruso's first recordings. April 10, 2001 | Brown Wax Cylinder Show w/ Michael Devecka. These records are circa 1898 to 1902. Dec 19, 2000 Hear this show! Dec 12, 2000 Hear this show! Dec 5, 2000 Hear this show! Nov 28, 2000 Hear this show! Nov 21, 2000 Hear this show! Nov 14, 2000 Hear this show! Nov 7, 2000 Hear this show! Oct 31, 2000 Hear this show! Oct 24, 2000 Hear this show! Oct 17, 2000 Hear this show! Oct 10, 2000 Hear this show! Oct 3, 2000 Hear this show! Sep 26, 2000 Hear this show! Sep 19, 2000 Hear this show! Sep 12, 2000 Hear this show! Sep 5, 2000 Hear this show! Aug 29, 2000 Hear this show! Aug 22, 2000 Hear this show! Aug 15, 2000 Hear this show! Aug 8, 2000 Hear this show! Aug 1, 2000 Hear this show! June 27, 2000 Hear this show! 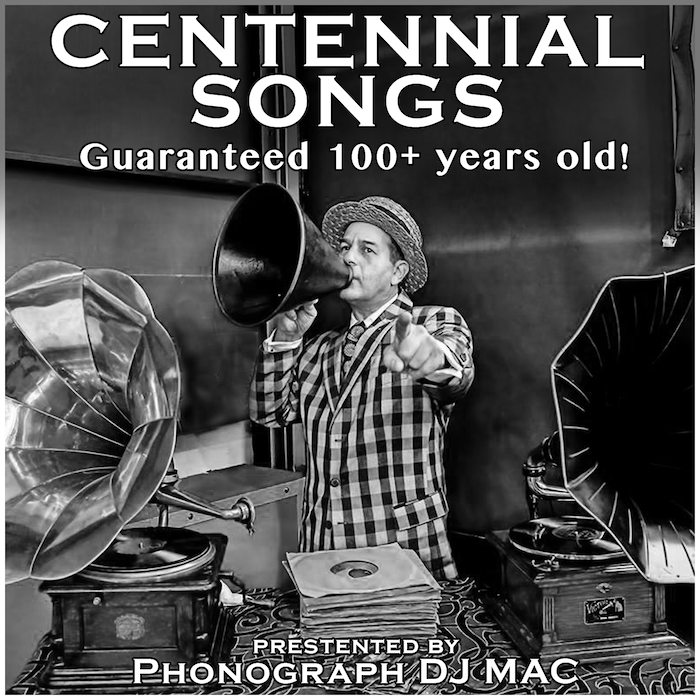 May 23, 2000 guest Jeff Wood with a program of cylinder records all over 100 years old! Feb 22, 2000 Hear this show! Feb 8, 2000 Hear this show! Dec 7, 1999 with guest Ken Boyd and a program of all ZONOPHONE records bought to you by the Universal Phonograph Company. May 25, 1999 Repeat Program from 1997 - I was having a baby! Feb 16, 1999 Repeat of 1997 show w the late Fred Hauk, who passed away in the summer of 1998. 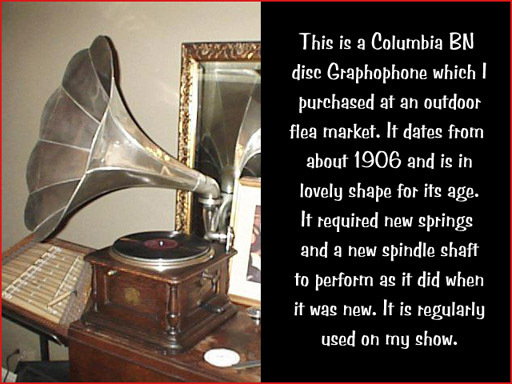 This is a Columbia BN disc Graphophone which I purchased at an outdoor flea market. It dates from about 1906 and is in lovely shape for its age. It required new springs and a new spindle shaft to perform as well as it did when it was new. It is regularly used on my show. This is an Edison standard D Phonograph from about 1911. This is a great machine for my show because it plays both 2 and 4 minute cylinders. I bought it at an antique shop, along with a number of great records. 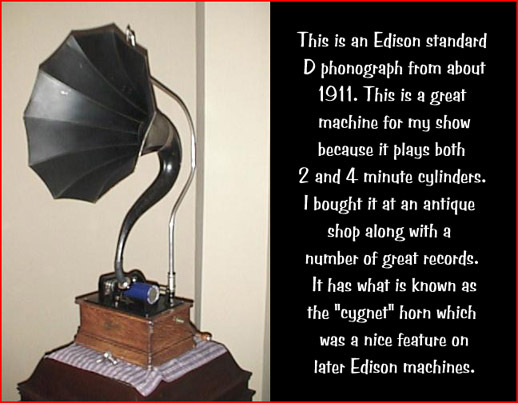 It has what is known as the "cygnet" horn which was a nice feature on later Edison machines.